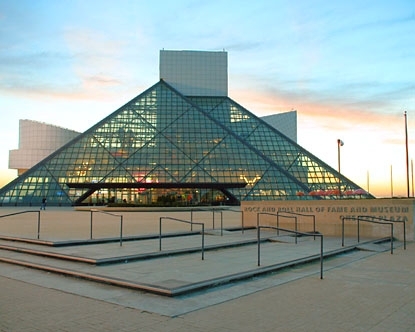 The 2013 Rock and Roll Hall of Fame inductees have been announced. From the longer list of possible nominees Public Enemy, Donna Summer, Heart, Randy Newman, Rush and Albert King were voted to join the Hall next year. Quincy Jones and Lou Adler will join them in the non-performing catergory via the AHMET ERTEGUN award. Left out from this year's class were Joan Jett, Kraftwerk, N.W.A., The Marvelettes, The Meters, Paul Butterfield Blues Band, Procol Harum, and Chic. This was the first year on the ballot for blues man Albert King, prog rockers Rush, and pioneering hip hop group Public Enemy. Female rock group Heart and piano satirist Randy Newman have each appeared on the ballot three times. Donna Summer made it into the Hall of Fame just a few months after her passing and on her sixth time listed on the ballot. Chic was left out again this year for a record 8th time. The inductees are voted on by a panel of 600 artists, historians and members of the music industry. Nominees must receive at least 50% of the votes to be considering for induction. The 28th annual Rock and Roll Hall of Fame induction ceremony will take place April 18, 2013 at the Nokia Theater in Los Angeles. It will air in on HBO May 18th.